Why do Drapes Get so Dirty? We’ve Got the Answer! Fun Halloween Ideas for your Little Ones! Can You Throw Your Shoes into the Washing Machine??? Let's face it, your running shoes get dirty, smelly and gross after a while and hand washing them in a bin of cold water and soap just doesn't do the trick anymore. So you think throwing them in the washing machine to get them clean seems like a good idea. Some will tell you that you should NOT throw your shoes in the washing machine. Others will swear by it! Here are a couple of steps you can take to minimize risk to make sure your shoes get cleaned not ruined when you throw them in your washing machine. 5 Easy Tips when Cleaning your Workout Clothes! Throughout university, I never really thought hard about what to do with my hamper of unclean clothing sitting in my closet. I would split them into whites and colours and throw them in the washing machine. It’s not that I didn’t care to check the labels; I just never realized the importance of having my clothes professionally cleaned… That is, until I started investing in more expensive clothing items such as suits for interviews, internships and all that good stuff that comes along with being a new graduate. The first thing I did after graduating was go into my closet and get rid of all the clothes that I felt looked worn. I realized that some of my clothing, looked worn even though I had recently purchased them. In fact, they looked like I had worn them for years. Some of the seams were falling apart and even my more expensive blouses didn’t fit right anymore. Some looked okay, don’t get me wrong, but the majority of my “nice” clothes did not. This is when I realized I needed to make a change. You never want to risk ruining your clothes after you’ve invested a lot of money into building up your wardrobe. So, before you throw that new shirt in the washing machine, don’t be like me, follow these tips to see if it really belongs there or if you need to get it professionally cleaned. Oh oh… Does That Label Say “Spot Clean Only”? Can you believe it’s already July? We can’t either! Every year around this time, Parliament Hill gets covered in a sea of red and white. As Canadians, we understand how lucky we are to call this wonderful country home. Every person you meet has a story to tell. There is something intrinsically unique about the people living here and what they contribute to the Canadian narrative. Yesterday, this amazing country turned 148, what a milestone! This got me thinking, what does it mean to be Canadian? For my family and I, Canada symbolized hope, peace, and a chance for a better life. Our journey started in 1997 when war erupted in Kosovo. Two years later, my family and I immigrated to Canada with absolutely nothing but painful memories. Sixteen years later, I couldn’t be happier to say I am Canadian. The tough road that led me here will never be forgotten… Neither will the country that changed my life and gave my family and I a new start. Every person that you meet here will have a different story to tell. Many will be similar to mine. We are a nation of nations. Our multiculturalism and our differences make us stronger, make us united, and make us unique. We are proud because there is no other country more understanding, more inclusive, and more beautiful. 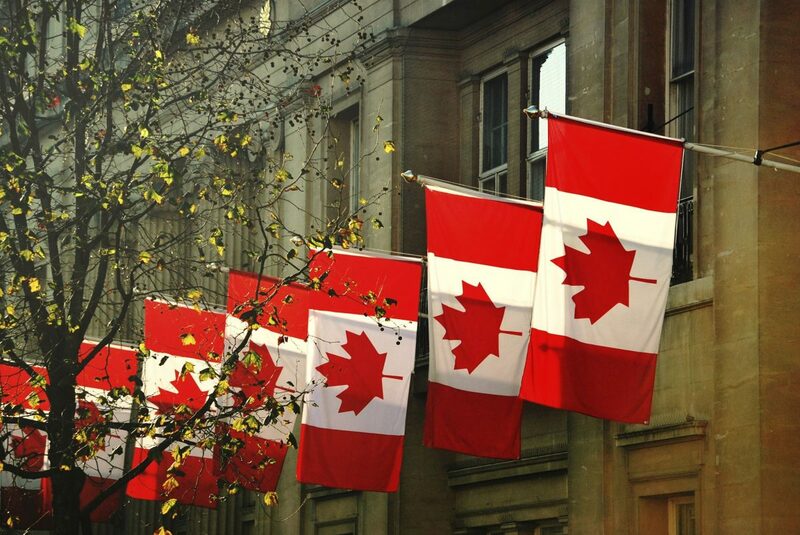 We’ve made a list of our top 5 favourite things about being Canadian. Your wedding dress is probably the most important garment you will EVER purchase – and the most expensive! A lot of brides purchase their gown a few months before their big day, wear it once, and store it in the back of their closet for YEARS, not thinking about it until that one day where they want to relive that special moment or their daughters are engaged and want to see the dress their mother got married in. Wedding gowns are delicate and you don’t want to try and clean them using home remedies that could spoil your dress forever. Because they are white, they are very easy to stain, whether with food, wine, dirt, grass or any other particles that could get on your dress during your big day. Some stains, such as sugar stains, are invisible at first, but turn into brown spots on your dress over time. But don’t fear, your local AWGS Certified Wedding Gown Specialists ™ will make sure to have your dress looking like new no matter what it gets put through during your big day. 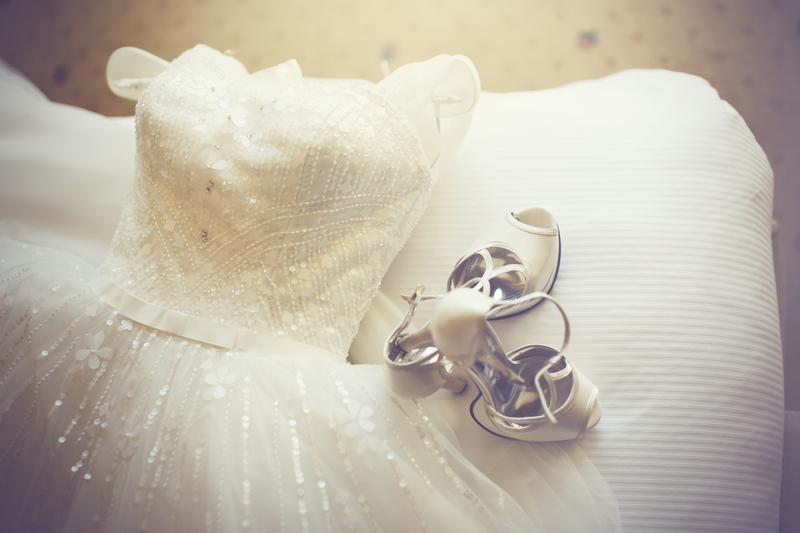 Certified Wedding Gown Specialists ™ are well versed in taking care of important garments, so you know your dress will be in good hands when you send it off - here are our top reasons why!